This comprehensive study of the intersection of death and religion offers a unique look at how religious people approach death in the twenty-first century. Previous scholarship has largely focused on traditional beliefs and paid little attention to how religious traditions evolve in relation to their changing social context. 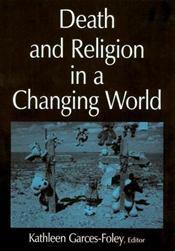 Employing a sociological approach, Death and Religion in a Changing World describes how people from a wide variety of faiths draw on and adapt traditional beliefs and practices as they deal with death in modern societies. The book includes coverage of newly emerging social and religious phenomena that are only just beginning to be analyzed by religion scholars, such as public shrines, the role of the media, spiritual bereavement groups, and the use of the internet in death practices.